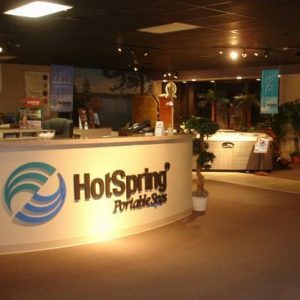 Since 1986, Randall has been selling and servicing Hot Spring Spas in Tyler, Longview, and all over East Texas. 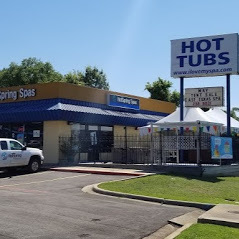 From the first Tyler store on Troupe Highway to their expanded showroom and service center on Old Jacksonville Highway, East Texas Hot Tub has sold more 15,000 plus hot tubs over 32 years. After doing extensive research into what makes a hot tub better than the next, he found one brand that met all his criteria for a successful partnership: quality, stability, performance, style, and serviceability. Hot Spring. Today, East Texas Hot Tub is the premiere spa dealer in the ArkLaTex area. Today we have been open for over 32 years and we have sold and serviced over 15,000 hot tubs. Our #1 priority has always been, and always will be, to put the customer first. Randall Glaske opened East Texas Spa in its first location on Troup highway. Alongside him brought possibly the most important employee at East Texas Spa, Alice Gay. Alice is the second employee hired and is still with us today. The second son Tucker came on to add his business expertise to bring a new brand image forward with our new name & logo of East Texas Hot Tub! East Texas Spa expanded the family part of the business by adding the oldest son Zach Glaske to the sales department. He now serves as our Branch Manager in Tyler. A big thank you to all our customers & friends who have trusted us throughout the years. Here’s to the next 32!